Home › Cosmetic Dentist › Are You And Your Child Protected From Injury? How do you maintain oral health? The first things that come to mind are probably brushing, flossing, and getting regular dental cleanings. You might also list dietary factors, such as limiting sugary drinks and getting enough calcium. When most people are quizzed about preventative dental care, they rarely mention athletic mouth protection. At Advanced Cosmetic & Laser Dentistry, your premier general and cosmetic dental office in the Seattle area, we agree that it’s a biggie. We invite you to bring your pediatric, family, and emergency dentistry questions to our committed staff. Did you know that over five million people per year experience tooth injury from playing sports? Many of those injuries include a tooth being completely knocked out. Ouch! Not only is it painful and traumatic, but a knocked-out tooth is also time-consuming and costly to restore. 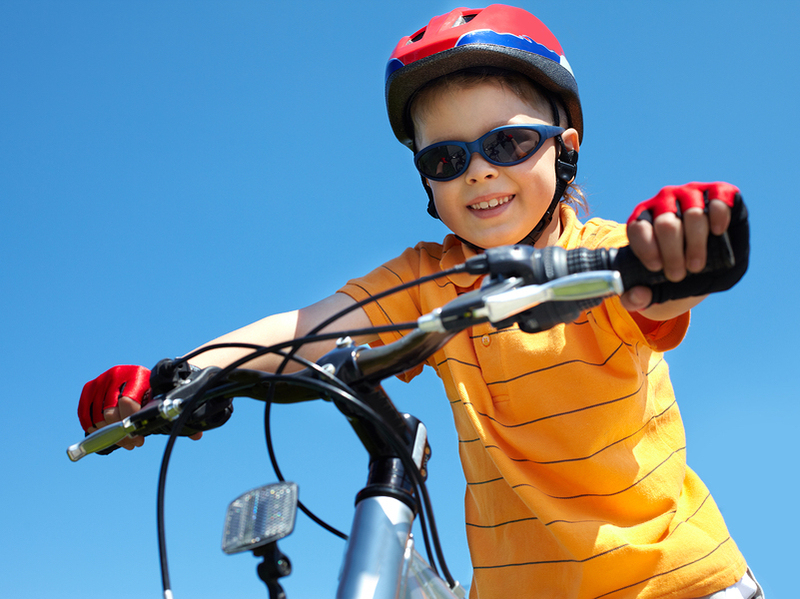 An inexpensive tooth protection device can help protect teeth during sporting activities. We advise our patients to include mouthguards as an important part of their athletic equipment. That’s right. Your mouthguard should be in your duffel right alongside your basketball shorts and water bottle. Did you know that since 1962, high school and collegiate football players have been required to wear face guards and mouth protectors. Since this requirement, the percentage of injuries in football has dropped from approximately 50 percent to one-half of 1 percent, depending on the study cited. The American Academy of Pediatric Dentistry also recommends parents have children use mouthguards for all organized sports. That means gymnastics, skiing, and lacrosse—not just basketball, football, and wrestling. Kids who complain about wearing mouthguards are more likely to wear one if it is comfortable and custom-fitted. If you or your youngster participates in sports, we would love to talk to you about ordering a custom athletic mouthguard. It may be the most critical dental decision you make this year. At Advanced Cosmetic & Laser Dentistry, we advise our patients to include mouthguards as an important part of their athletic equipment. That’s right. Your mouthguard should be in your duffel right alongside your basketball shorts and water bottle. We provide premium dental care with a comprehensive menu of general and cosmetic dental services, including mouthguards, porcelain veneers, and sedation dentistry. Call us today for an appointment and consultation. Remember, if anyone in your family has a dental emergency, call Advanced Cosmetic & Laser Dentistry at 206-720-0600 ASAP! Use the form below to ask a question about Are You And Your Child Protected From Injury? and one of our expert team members will get back to you shortly.